But it's too late to say anything now, plus I still wanna share this with you guys. Simply marinate the pork strips overnight and pan-fry it whenever you feel hungry the next day. 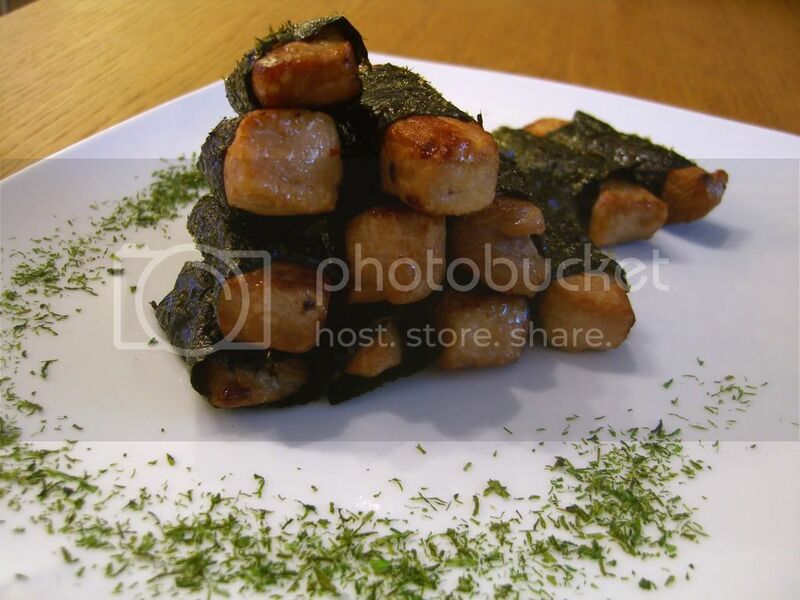 Wrap the strips with dried seaweed, so easy even a caveman can do it.